Howard Hughes Promenade - Closest to LAX. 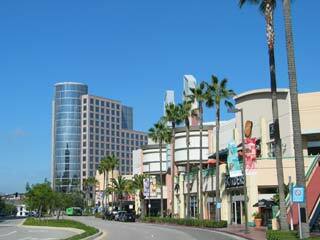 An upscale indoor/outdoor mall with restaurants, shops and a nice theatre. The variety of shops is small, however there is a Nordstrom Rack outlet store here where you can find some pretty good deals on name-brand clothes. Howard Hughes Promenade has a nice assortment of restaurants, such as Islands, Kabuki, Marie Callender's and quite a few more. There is a movie theatre with 18 screens, including a big-screen IMAX. Westfield Culver City - The mall features anchor stores Macy's and JC Penney, Target and Best Buy, along with many familiar mall boutique shops like H&M, XXI Forever, Coach, G by Guess, and Express. Westfield Culver City is in a convenient location, at the intersection of the 405 and the 90 freeways, and just a few miles north of LAX. 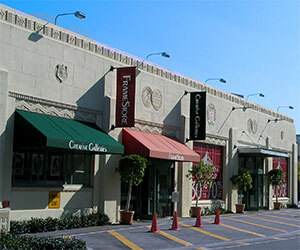 Westfield Culver City and Howard Hughes Promenade make a great pair for shopping near the airport. Baldwin Hills Crenshaw Plaza - Anchored by Macys, Sears and Walmart, with over 100 specialty stores and dining options. Around 9 miles from LAX - Metro Local 40/42 can take you there from Sepulveda and 96th Street, near LAX. Helms Furniture District - The Helms Furniture District is located in the historic Helms Bakery Complex near Culver City. There are dozens of furniture retailers, two restaurants, more shops, and the Jazz Bakery jazz club. This is on the opposite side of Culver City from the mall. LAX Layover Shopping - You might have time to do some shopping while on layover at LAX. If you have less than 3-4 hours then you won't be able to venture much further than Howard Hughes Promenade or possibly Westfield Culver City. But if you have more time, it's easy to get to Santa Monica using Blue Bus Rapid #3, or go to Hollywood via the FlyAway Union Station bus to the Red Line train. Either trip takes around an hour each way. Here are some suggestions for shopping during an extended layover at LAX.